WE BRING A DEPTH OF EXPERIENCE AND EXPERTISE AND OFFER A BROAD RANGE OF SERVICES. 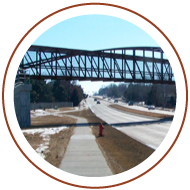 Our service areas are Surveying, Bridge Design, Transportation, and Hydraulics. We bring a depth of experience and expertise to each of these divisions, and offer a broad range of services within each area. Surveying is the foundation for a well-planned and executed project. Our experienced Surveying team provides engineering, topographic, construction, boundary, hydraulic, as-built, and right-of-way surveys. 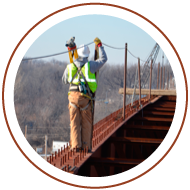 Speece Lewis also provides construction staking and legal description services. 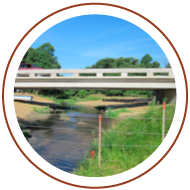 Our Bridge Design engineering team can plan and design a wide variety of bridge solutions, utilizing reinforced concrete slab, pre-stressed concrete girders, rolled steel beams, and welded plate girders. 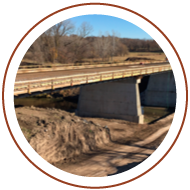 Our rigorous planning and design approach ensures every bridge meets or exceeds specified objectives for safety, capacity, and integrity. Superior transportation design is critical for communities and commercial areas to function and thrive. Our Transportation team brings a breadth of experience to each project and can provide design services for conceptual roadways, urban and rural highways, industrial rail, storm sewers, right- of-way, paving, grading, as well as state park roads and facilities. Understanding and optimizing the movement of water is critical to most engineering endeavors. At Speece Lewis, our Hydraulics team has the expertise to analyze and address the impact that water will have on your project. 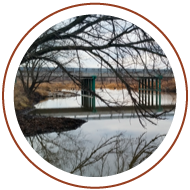 Flood control, flood plain delineation, wetland mitigation and delineation, map revisions, and no-rise certifications are just some of the valuable hydraulic services that our firm can provide.